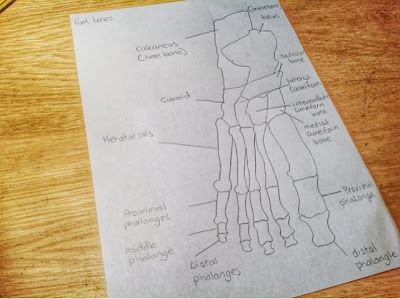 An Ordinary Life : Anatomy: Playdough feet! A diagram of the bones in a foot - You can either draw your own diagram first or download my free unlabelled one here or another free PDF file I made of a ready labelled foot diagram here. 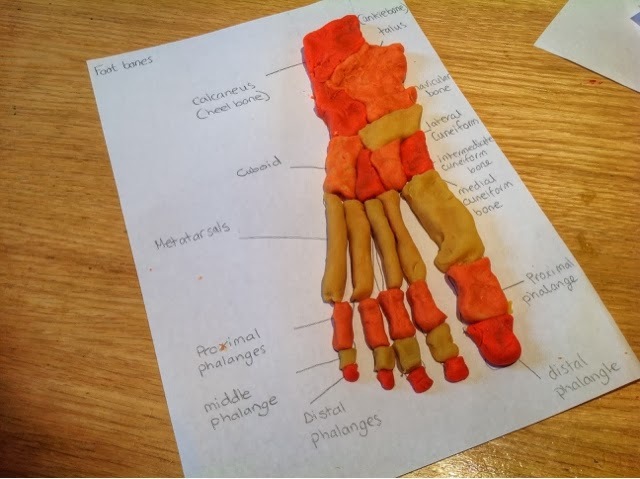 Play dough - I wanted to use more colours to show the different types of bones but only had three still, it doesn't really matter. Salt dough, modelling clay or even bread dough and biscuit dough would do too and make for some more yummy science. All you have to do in this project is make the shapes of the bones with the play dough and talk about the different names of the bones. You might want to look at your own feet to see where the bones are under the skin by rubbing your toes or the top of your foot. 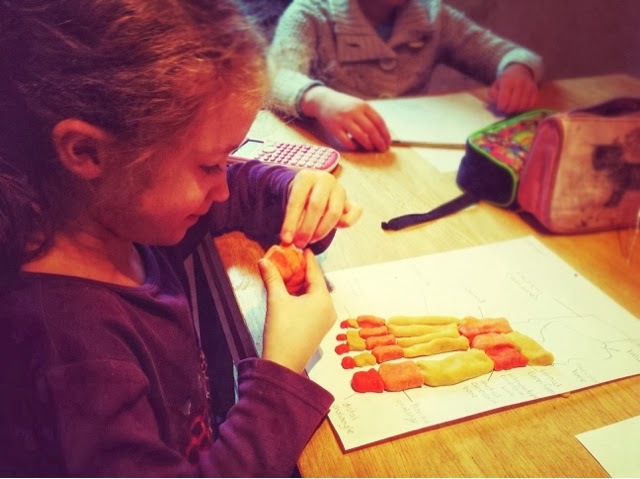 This is a great way for tactile learners, even those who are older studying for GCSE's even, yet it was simple enough for my Honi, age 6, who enjoyed it immensely! The 52 bones in your feet make up about 25% of all the bones in your body. Over 250,000 sweat glands that expels 1 pint of sweat a day! You achillies tendon is the strongest tendon in the body! Lisa your posts are so inspirational, when I am out of ideas for home ed project your blog is always my starting point! Such a lovely comment to find on my blog! Thank you Emma! This is really cool! I have a 8 years daughter and I bet she will love these ideas! I saved your website as my favorite website. Thanks for sharing!